Initially, the ice wall was lauded as a trump card in controlling radioactively contaminated water at the plant in Fukushima Prefecture, which was crippled by meltdowns in the wake of the March 2011 Great East Japan Earthquake and tsunami. But while 34.5 billion yen from government coffers has already been invested in the wall, doubts remain about its effectiveness. Meanwhile, the issue of water contamination looms over decommissioning work. The ice wall is created by circulating a coolant with a temperature of minus 30 degrees Celsius through 1,568 pipes that extend to a depth of 30 meters below the surface around the plant’s reactors. The soil around the pipes freezes to form a wall, which is supposed to stop groundwater from flowing into the reactor buildings where it becomes contaminated. A total of 260,000 people have worked on creating the wall. 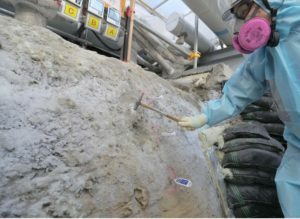 The plant’s operator, Tokyo Electric Power Co. (TEPCO) began freezing soil in March last year, and as of Aug. 15, at least 99 percent of the wall had been completed, leaving just a 7-meter section to be frozen. Soon after the outbreak of the nuclear disaster, about 400 tons of contaminated water was being produced each day. That figure has now dropped to roughly 130 tons. This is largely due to the introduction of a subdrain system in which water is drawn from about 40 wells around the reactor buildings. As for the ice wall, TEPCO has not provided any concrete information on its effectiveness. An official of the Secretariat of the Nuclear Regulation Authority (NRA) commented, “The subdrain performs the primary role, and the ice wall will probably be effective enough to supplement that.” This indicates that officials have largely backtracked from their designation of the ice wall as an effective means of battling contaminated water, and suggests there is unlikely to be a dramatic decrease in the amount of decontaminated groundwater once the ice wall is fully operational. TEPCO ordered construction of the ice wall in May 2013 as one of several plans proposed by major construction firms that was selected by the government’s Committee on Countermeasures for Contaminated Water Treatment. In autumn of that year Tokyo was bidding to host the 2020 Olympic and Paralympic Games, and the government sought to come to the fore and underscore its measures to deal with contaminated water on the global stage. Using taxpayers’ money to cover an incident at a private company raised the possibility of a public backlash. But one official connected with the Committee on Countermeasures for Contaminated Water Treatment commented, “It was accepted that public funds could be spent if those funds were for the ice wall, which was a challenging project that had not been undertaken before.” Small-scale ice walls had been created in the past, but the scale of this one — extending 1.5 kilometers and taking years to complete — was unprecedented. At first, the government and TEPCO explained that an ice wall could be created more quickly than a wall of clay and other barriers, and that if anything went wrong, the wall could be melted, returning the soil to its original state. 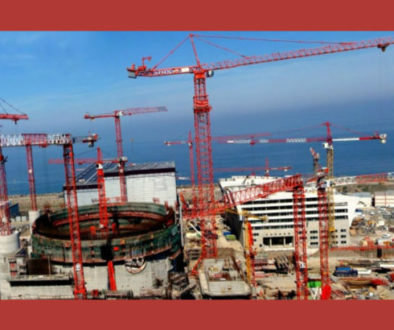 However, fears emerged that if the level of groundwater around the reactor buildings drops as a result of the ice wall blocking the groundwater, then tainted water inside the reactor buildings could end up at a higher level, causing it to leak outside the building. Officials decided to freeze the soil in stages to measure the effects and effectiveness of the ice wall. As a result, full-scale operation of the wall — originally slated for fiscal 2015 — has been significantly delayed. Furthermore, during screening by the NRA, which had approved the project, experts raised doubts about how effective the ice wall would be in blocking groundwater. 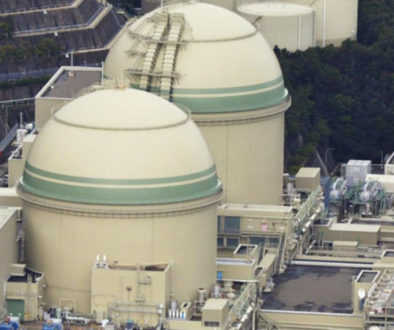 The ironic reason for approving its full-scale operation, in the words of NRA acting head Toyoshi Fuketa, was that, “It has not been effective in blocking water, so we can go ahead with freezing with peace of mind” — without worrying that the level of groundwater surrounding the reactor buildings will decrease, causing the contaminated water inside to flow out. 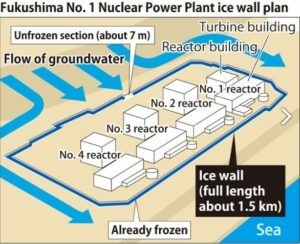 Maintaining the ice wall will cost over a billion yen a year, and the radiation exposure of workers involved in its maintenance is high. Meanwhile, there are no immediate prospects of being able to repair the basement damage in the reactor buildings at the crippled nuclear plant. In the meantime, TEPCO continues to be plagued over what to do with treated water at the plant. 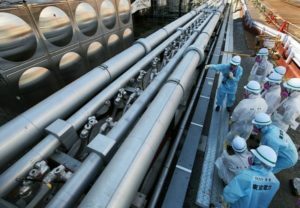 Tainted water is treated using TEPCO’s multi-nuclide removal equipment to remove 62 types of radioactive substances, but in principle, tritium cannot be removed during this process. 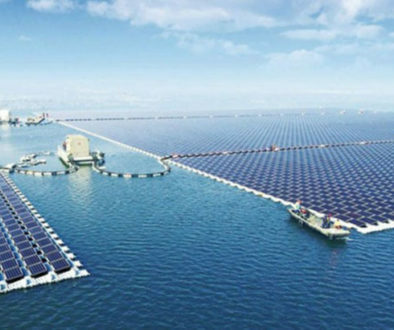 Tritium is produced in nature through cosmic rays, and nuclear facilities around the world release it into the sea. The NRA takes the view that there is no problem with releasing treated water into the sea, but there is strong resistance to such a move, mainly from local fishing workers who are concerned about consumer fears that could damage their businesses. TEPCO has built tanks on the grounds of the Fukushima No. 1 plant to hold treated water, and the amount they hold is approaching 800,000 metric tons. In mid-July, TEPCO Chairman Takashi Kawamura said in an interview with several news organizations that a decision to release the treated water into the sea had “already been made.” A Kyodo News report on his comment stirred a backlash from members of the fishing industry. TEPCO responded with an explanation that the chairman was not stating a course of action, but was merely agreeing with the view of the NRA that there were no problems scientifically with releasing the treated water. However, the anger from his comment has not subsided. Critical opinions emerged in a subsequent meeting that the Ministry of Economy, Trade and Industry held in the Fukushima Prefecture city of Iwaki at the end of July regarding the decontamination of reactors and the handling of contaminated water. It was pointed out that prefectural residents had united to combat consumer fears and that they wanted officials to act with care. One participant asked whether the TEPCO chairman really knew about Fukushima. The ministry has been considering ways to handle the treated water, setting up a committee in November last year that includes experts on risk evaluation and sociology. As of Aug. 15, five meetings had been held, but officials have yet to converge on a single opinion. “It’s not that easy for us to say, ‘Please let us release it.’ It will probably take some time to reach a conclusion,” a government official commented.